MainAll NewsUS & CanadaDid Trump acknowledge he's being investigated? Did Trump acknowledge he's being investigated? Trump appears to acknowledge on Twitter that he is under investigation in Russia case, his lawyers clarify he didn't. U.S. President Donald Trump appeared on Friday to acknowledge that he is under investigation for obstruction of justice in the inquiry into alleged Russian meddling in the presidential election. His comments came in a series of tweets. “I am being investigated for firing the FBI Director by the man who told me to fire the FBI Director! Witch Hunt,” read one tweet. What exactly Trump meant by the tweets remains unclear, though it is known that deputy Attorney General Rod Rosenstein wrote the memo the White House used to justify the firing of former FBI Director James Comey. Rosenstein also took over the investigation into whether Russia tried to tip the election in Trump’s favor after Attorney General Jeff Sessions recused himself from the election. The deputy attorney general later appointed Special Counsel Robert Mueller to lead the inquiry. Earlier this week, The Washington Post reported that Mueller is interviewing senior intelligence officials as part of a widening probe that now includes an examination of whether Trump attempted to obstruct justice. 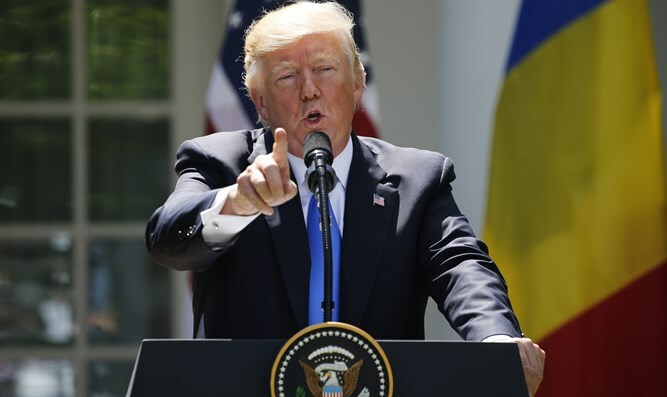 Trump on Thursday blasted the reported investigation against him for obstruction of justice, describing it on Twitter as “phony”. “They made up a phony collusion with the Russians story, found zero proof, so now they go for obstruction of justice on the phony story. Nice,” he wrote. On Friday, hours after Trump’s tweets, a source close to Trump's outside legal team said the President did not intend his tweet to be confirmation of the investigation but rather was reacting to The Washington Post story. The source, who was quoted by Reuters, spoke on condition of anonymity.